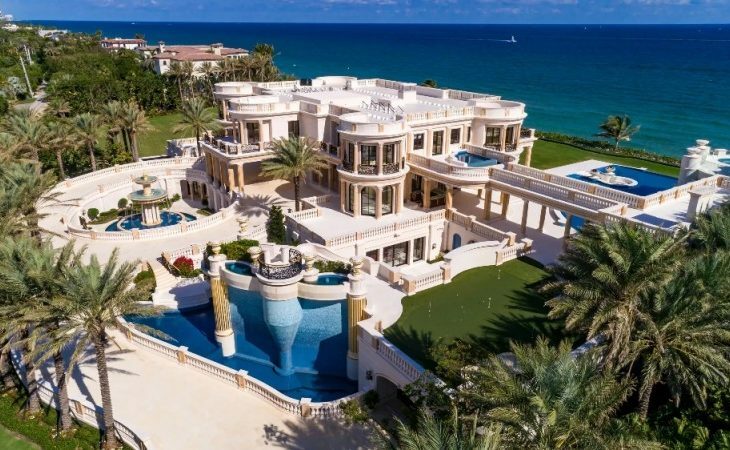 A palatial Hillsboro Beach, Florida, mansion recently sold at auction for $42.5 million. 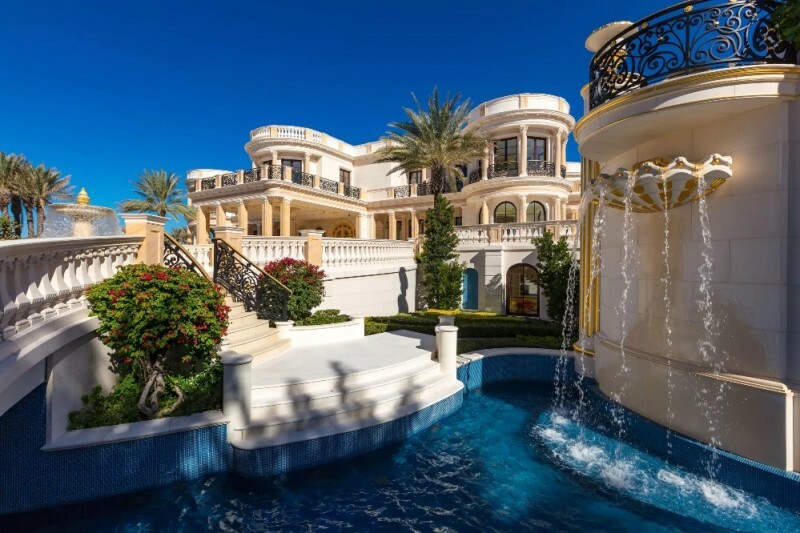 The grand property dubbed Playa Vista Isle had been on the market for several years, and at one point listed for $159 million. The property was auctioned with no reserve price set. 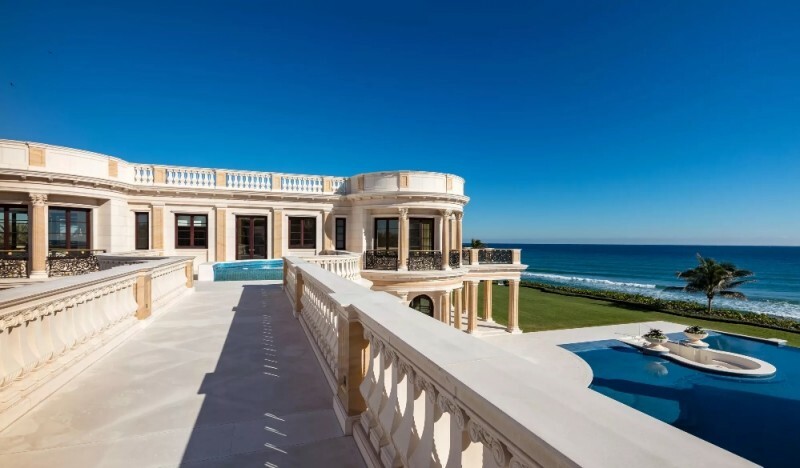 The sale set a record for the priciest home sold at auction in the country, but that probably doesn’t mean much to the seller: the property’s construction costs are rumored to have tipped the $100 million mark. Interested bidders were required to provide $250,000 in escrow as assurance. 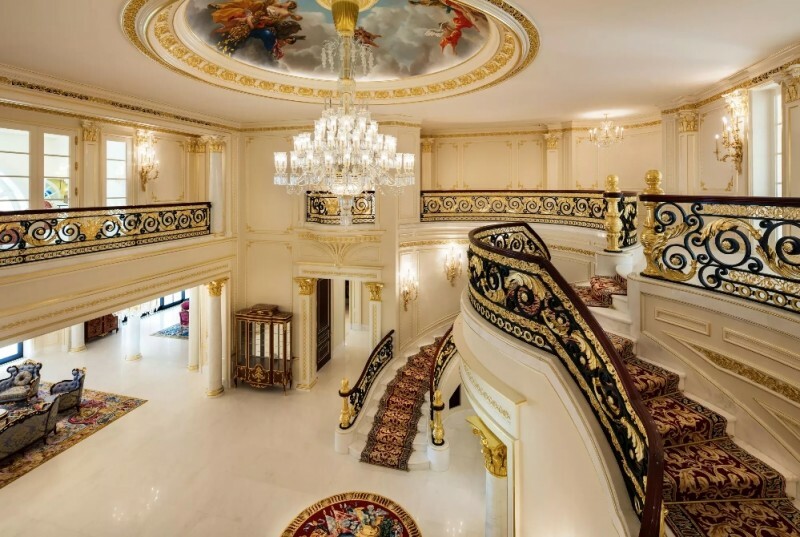 Designed after the styling of the great French palace Versailles, the grandiose home welcomes visitors with a double-staircase entry, a stunning center chandelier, and wildly ornate balustrade that does a not-bad job of suggesting Sun King-style excess. 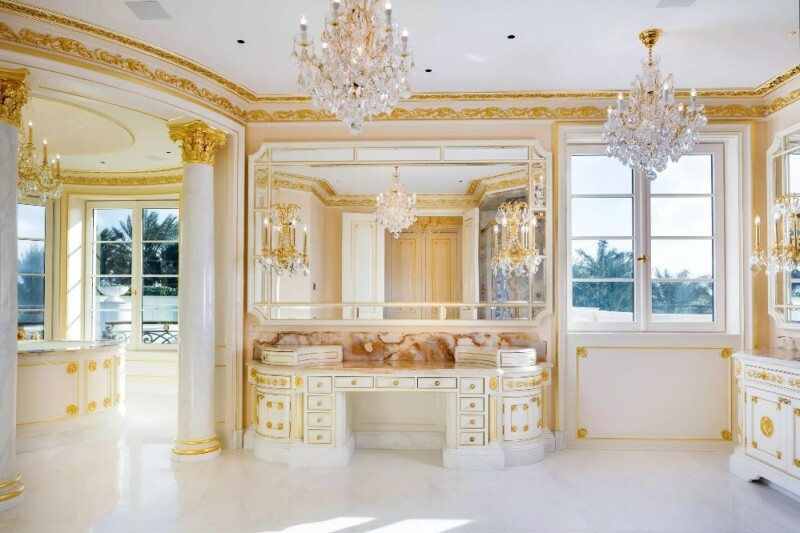 Moldings, frescoes, and a litany of high-end materials like Austrian crystal, marble, and gold leaf help consecrate the home as genuinely bling-city palatial. 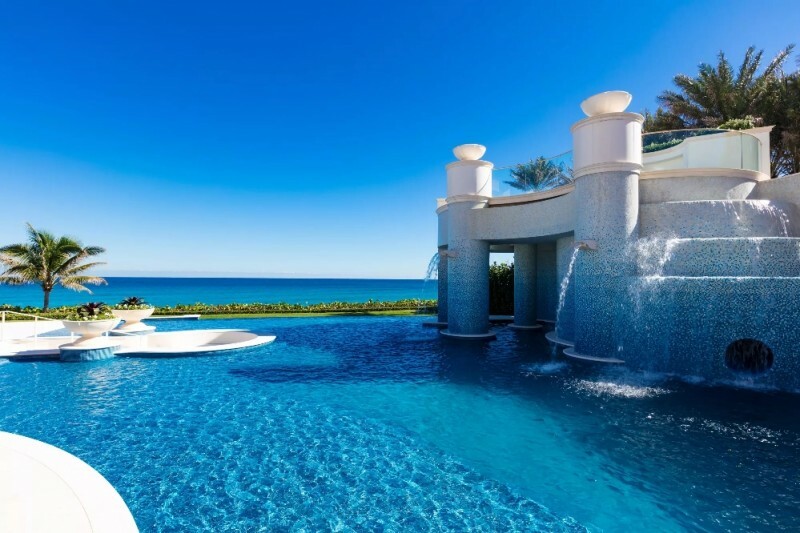 The interiors measure 30,000 square feet; total square footage comes in at 58,000 square feet, however. The long list of amenities is too extensive to list here. The private IMAX Theater says it all.